Music moves me. I think it moves all of us. There’s just something in the poetry of words sung out loud to the chorus of a beat or melody that dances emotions to life in the heart. Sometimes it inspires thoughts, memories, and awakens me to the realization that I’m not alone. 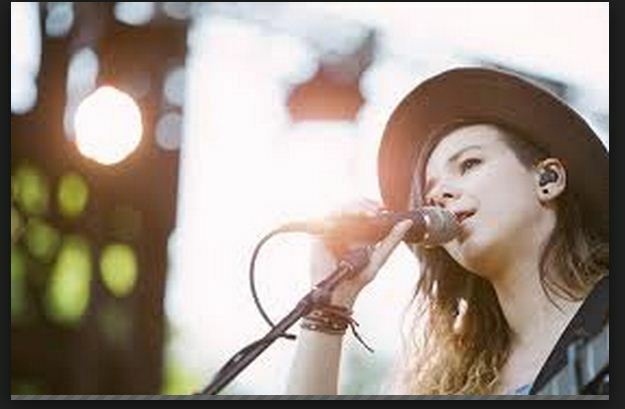 A band that I really adore is Of Monsters and Men. My ex introduced me to them, and they have really thought provoking (at least for me) and hauntingly invoking lyrics that take me to distant worlds and sometimes gets my mind drifting into ideas for novels and/or poems. When I heard Of Monster and Men’s Love Love Love it struck a deep chord within me. Because I am the girl that loves, loves, loves even when people “can’t love me”. It’s not necessarily a boyfriend/girlfriend relationship I’m talking about either (though, sometimes that has been the case), but just friendships in general. I’m the one that always seems to be hurt in these sorts of situations. Because I love and I care about people even when they’ve stopped thinking or worrying about me. The singer in this song almost strikes me as sarcastic when she calls herself the bad guy, and it got me thinking about perceptions. Maybe I’m just reading too much into the situation. Maybe people truly do care as deeply and profoundly as I do for them, but it doesn’t really feel that way when friendships die and crumble. I hate that because I can sense it’s coming, and I’m terribly at losing people, so I just claw more desperately and they distance me further. Maybe I am too clingy, too needy a friend. Maybe I’m a burden to people. Yet the only thing they could convict me of is loving them too much—if there truly is a sort of thing. I try to be as accepting and loving of people as I would like them to be of me. It’s just hard. I’m a giver not a taker, so I don’t understand how you can take up so many moments and memories in a person’s life and heart and not want to be there for more than just an instant snapshot in someone’s mind’s eye. I believe that we’re meant to be in people’s lives forever. That’s why certain songs, lyrics, poems, places, and even people trigger memories of friends/people of our past. Because if you truly love someone, you’ll always love them. Even if that means having to let them go. I don’t really know. However, I do know that I’m the girl that loves, loves, loves and I hope I always remain that girl. It’s better than the alternative. At least I can sleep in peace knowing that I’ve given all the love in my heart out to the people that have touched me in my life, and be grateful for those that continue to.